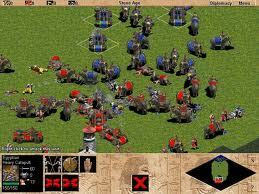 The new aoe game is a cross between World of Warcraft with questing and a tech tree and 40 Levels you have to go through by earning experience, then still very much like the original Age of Empires with a real time strategy like starcraft but set on earth with history based ancient civilisations like Greeks or Egyptians. At the moment for free there is only one civ that you can play and it is a little cut back. Maybe in the begginning you could remain competitive for pvp but you would have to get the full game eventually. Something thats new is there are gear slots for your units, with greens, blues and purples (Epics) likes wow. You get armours and weapons as quest rewards and also from chests you get ingame. As a non paying customer you are limited to only green level coloured armour or weapons so once paying customers are geared up really well then you will be at another disadvantage. Some items are craftable from blueprints with materials you earn. You can visit other peoples towns and buy and trade stuff with them like blue prints gold or materials and there is a ingame mail system. I think AOE runs in 6 month seasons but i'm not sure exactly how it works. 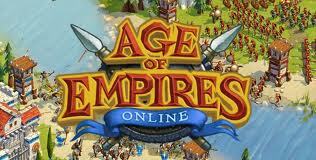 AOE online came out on the 16th of August 2011, I found this out originally after asking in the general chat and then later looking up the wikipedia page for aoe online. General chat which can be a bit of a wasteland, is available all the time in game and in your city. AOE Online is powered by an updated AOE 3 engine so the graphics aren't bad and you don't need an amazingly powerful computer to run it. Kinda cool how I stumbled across this game. I went to twitter because now that I am following more people it presents a lot of links. On twitter I went to Stephen Fry and he had posted a link pointing to time magazines top 50 sites of 2011 and from there I kinda randomly picked a site and it was a gaming site called GiantBomb.com where I watched a video of them reviewing AOE.